Apprentice HA is designed around the op-amp and single RCA inputs with a fully separate output stage covered by a 10 year warranty delivering outstanding listening experiences for years to come. Earn 119 loyalty points when you order this item. 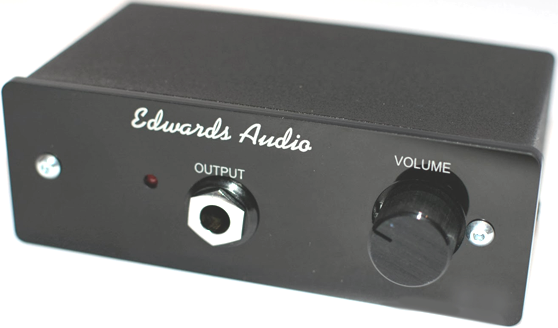 Edwards Audio Apprentice HA is designed around the op-amp and sole standard RCA inputs with a totally separate output stage. 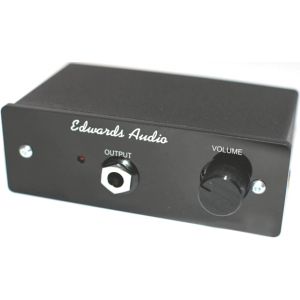 Equipped with all the typical Edwards Audio styling and premium components, it is covered by the brand's 10-year guarantee making this a great value amp sure to bring you outstanding listening experiences for years to come. Built to feature an incredibly low output impedance, it distinctively features a wholly regulated power supply which both reduces noise and boosts the dynamic range. The pre-amp component is designed to be completely active with improved RF elimination and has an op-amp based output buffer stage with extra discrete output driver stage. This is no standard headphone amplifier, it will drive all current headphone with ease thanks to a >1W maximum output into 32 Ohms. The headphone output jack is a professional grade 6.3mm 1/4” Neutrik type that will prove to be ultra robust over many years of use. The audio quality is completely effortless with huge out-of-the-head imaging with clean clear tireless dynamics which produce an incredibly musical performance that wholly surpasses this diminutive box to make headphone listening enjoyable.